Pull up your chair, pick up the remote control and pour yourself a glass of your poison of preference! Here we go with the 2018 NRL Finals series. It should be a cracker given the evenness of the regular season at the top end of the table. It’s a tipster’s nightmare, but we’ll give it a go anyway. Just as importantly, Round 1 of the inaugural NRLW series kicks off this weekend, too. This is also a tipping challenge given our lack of exposure to the women’s game up to this point. Channel 9 may have a lot to answer for when it comes to coverage and commentary, but credit where it is due as they telecast both of this weekend’s clashes live. Melbourne Storm v South Sydney Rabbitohs: The Storm line-up is almost back to normal this week, with the exception of big Nelson Asofa-Solomona who is still battling ankle problems. They can’t help but be better than last week but come up against a hot Rabbitohs outfit hitting their straps at just the right time. The Rabbits haven’t won in Melbourne in ages but I don’t think that will be a problem this time round. The Burgess trio plus Sutton, Crichton and Cook look a bit too strong, and let’s remember that the big games are usually won in the forwards. You’re either brave or a fool to bet against Bellamy’s Storm anytime – I’ll take the risk. The head says Souths Sydney, the heart says Melbourne. Penrith Panthers v NZ Warriors: The Warriors have been pretty good on the road this year, so I don’t think that will be a factor. But they’re probably the finals team with the greatest propensity to blow hot and cold (and usually at the extremes of both of those categories). Johnson and Tuivasa-Sheck have to be ‘on’ for 80 minutes. You know that Mannering will be. The Panthers have been unconvincing of late but are among the best ‘come from behind’ teams in the comp. 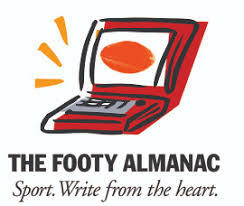 If their discipline is better and Maloney is at his best, they’re good enough to win. The head says Penrith, the heart says NZ Warriors. Sydney Roosters v Cronulla Sharks: Get out your seismograph because the earth will shake when these packs collide tomorrow night! Both sides have spectacular backlines, so the winner upfront will win the game. Tons of experience across both teams with several potential match-winners each. Probably the closest game of the weekend will come down to the last forward standing. The head says Sydney Roosters, the heart doesn’t care because I can’t stand either team! Brisbane Broncos v St George Illawarra Dragons: A week ago I would have said the Broncos in a canter but then Gareth Widdop returned from injury. The Broncos have momentum but Widdop is pure class as a player and a champion as a team leader. The question is: is Widdop enough to bridge the gap? And how will Ben Hunt handle a big game back in Brisbane against his old team? Expect the Broncos to hustle and bustle him mercilessly. Those young Bronco forwards will also face a test of their own mettle in the finals furnace. Both the head and the heart say Brisbane. I don’t pretend to know much about the NRLW squads but I’m sure the two matches will be fascinating. As I’ve said previously, if this year’s State of Origin match is anything to go by, we’re in for a treat. The players will want to perform well not just to win but also to promote the women’s game and show that it’s time has come. Expect some good, open, running rugby league. I’ll go with the so-called experts and tip the Sydney Roosters to defeat the NZ Warriors and the Brisbane Broncos to defeat the St George Illawarra Dragons. Ian Hauser never got to play in a football final but in 1965 at age 13 (or thereabouts) he was a linesman for an elimination play-off in schoolboy footy. He flagged away (correctly) a conversion attempt by the opposition – it was a brave call but, thankfully, it didn’t influence the outcome of the match. 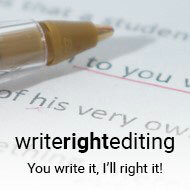 These days he flags ideas for aspiring writers via his editing services. You can find out more about that here.